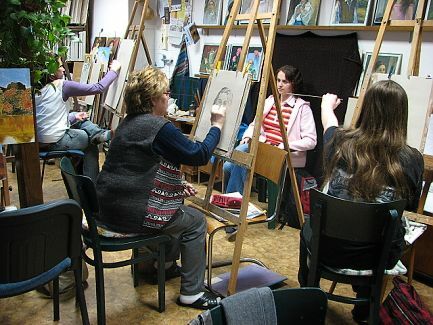 Painting courses for adults and young people have been held in my studio in Velké Němčice since 1998. I welcome all who are interested, regardless of age, talent, and previous painting experience. 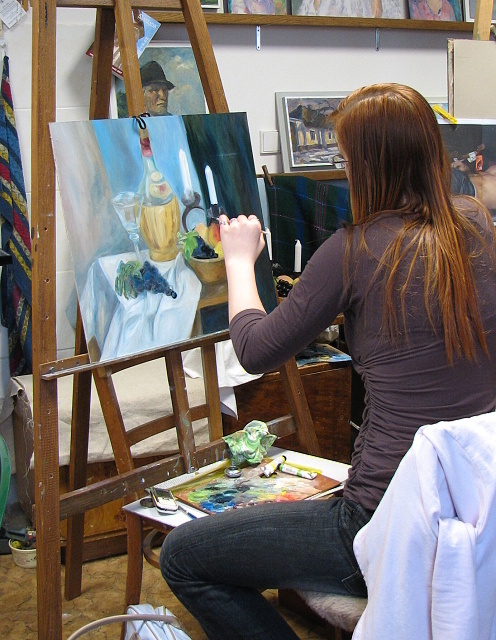 Courses include drawing and painting still life, portraits and landscapes. Participants will learn how to work with various art materials. Courses take place twice a year (spring and autumn) for a period of 12 weeks each. One lesson runs 180 minutes (120 minutes for youth). Groups are small, about 15 participants, each one receiving an individual attention. © 2011 Jana Rozková | www.atelier-rozkova.cz | All rights reserved.